9, Israel’s pollsters are in overdrive. To date, most polls suggest that, when all is said and done, the upcoming election will result in more of the same: Prime Minister Netanyahu’s Likud party will remain on top as the largest faction in the Knesset. And the potpourri of right-wing and religious parties that make up his current coalition government will continue to command a majority of seats in parliament. When Israelis go to the polls, they vote for parties – not individual candidates – to represent them in Knesset. Each party presents an ordinal list of candidates (up to 120), and the percentage of votes it receives nationwide determines how many of the candidates on that list become Knesset members. But Israel also has a minimum vote threshold, currently 3.25 percent of votes cast, that candidate lists must meet. 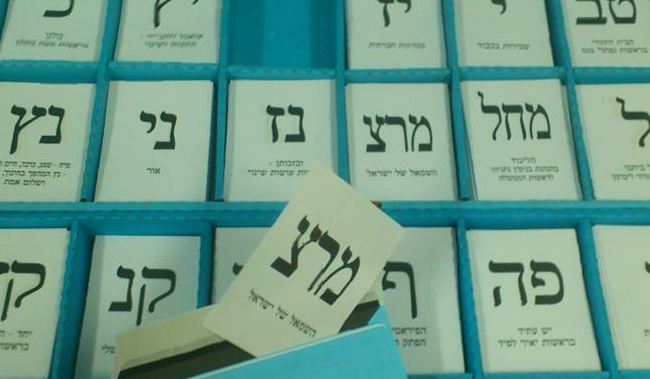 If a candidate list fails to meet this qualifying threshold, even by a single vote, it fails to place any representatives in the Knesset and all votes cast for it are thrown into the discard pile. Such small failures can have a major impact. 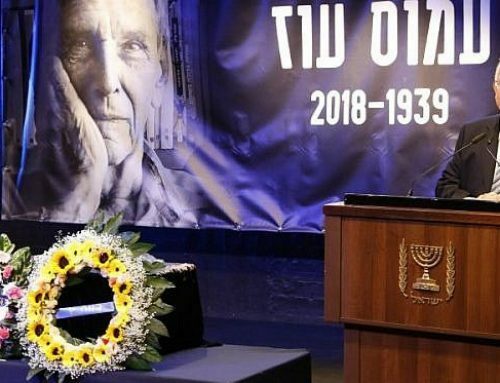 In 1992, Yitzhak Rabin’s Labor Party famously squeaked into power thanks, in part, to the far- right Tehiya party’s inability to clear the threshold (then 1.5 percent). As a result, nearly two Knesset seats worth of votes went down the drain, enabling the creation of a narrow center-left government. In the 2015 election, more than 190,000 Israelis voted for parties that didn’t hit the threshold – about 4.5 percent of all votes cast. Polls this year suggest that the number of these discarded votes could be much higher, reaching seven percent or more, with over half a dozen parties, left, center, and right, teetering precariously around the cutoff point. Which parties clear the hurdle and which don’t could ultimately have a decisive effect on who forms Israel’s next government. 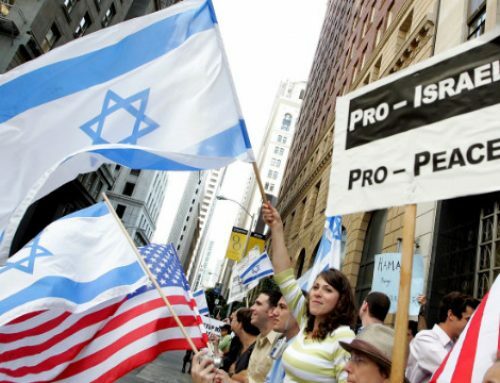 Take a poll published on January 24 by Israel’s Reshet Bet radio station, for instance. The poll found that Netanyahu’s Likud would win 31 seats and that the parties making up his current coalition would win 67 seats. However, three of those parties, polling at four seats each, barely cross the threshold. Should some or all sink beneath the 3.25 percent level, Netanyahu’s chances of rebuilding his government would decline considerably. 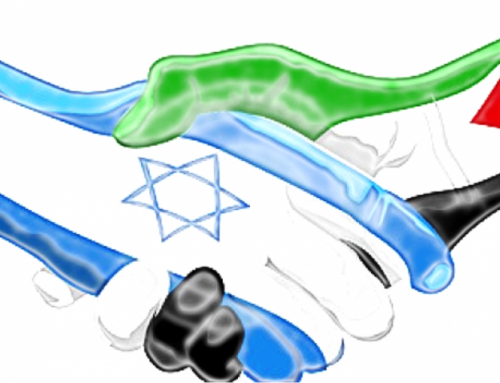 Much of the political uncertainty is due to a rash of political maneuvering and party splintering that has dominated Israeli news ever since the Knesset voted on December 26 to call new elections. 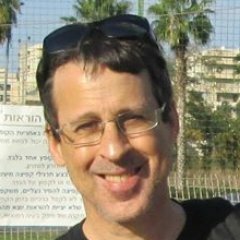 On New Year’s Day, for example, the “Zionist Union” list – composed of the Labor Party and the HaTnu’ah (“The Movement”) party – irreparably ruptured, when Labor’s leader, Avi Gabbay, publicly and without warning severed the parties’ political alliance. HaTnu’ah, led by former Foreign Minister Tzipi Livni, is polling near, but usually just under, the threshold level and is likely to be shut out of the Knesset if it fails to form an electoral alliance with another party. Such a scenario would mean a painful waste of votes for the center-left. Meanwhile, on the right side of the political spectrum, Naftali Bennett and Ayelet Shaked, the two leaders of the Jewish Home list (itself an amalgam of parties) announced that they were breaking away to form a brand new party, called “The New Right”. Buoyed by the star power of Bennett and Shaked (Israel’s education and justice ministers, respectively), The New Right is polling at around eight seats, but the rump of Jewish Home is in danger of not clearing the threshold. That would be a net loss for the right. Another recent parting of the ways has taken place among the parties that ran last time as “The Joint List,” which draws its votes predominantly from Israel’s Arab citizens. In early January, MK Ahmad Tibi announced that his Arab Renewal Movement would be running independently this time around, leaving the four-party electoral alliance formed in 2015. The Joint List was actually a response to a 2014 law raising the vote threshold to 3.25 percent (from 2 percent), and was created to prevent one or more of the small, predominantly Arab parties from falling victim to the higher bar through the creation of a joint slate of candidates, allowing the parties to essentially pool their voters. (Many political observers believe the higher bar was instituted precisely to undermine Arab representation in Knesset.) While initial polls suggest that Tibi’s party and the now-smaller Joint List are both safe, each one polling at around six seats, the situation is in flux, the margin of error is small, and a reunification deal is still possible. Soviet Union in the 1990s, often representing their sectoral grievances. This base is gradually declining, however, due to both gradual assimilation and mortality, and Lieberman – who resigned as Defense Minister in November, partly in order to stake out a niche to the right of Netanyahu – has been struggling, generally polling below the six seats his party won in 2015, and sometimes not clearing the threshold at all. The ultra-orthodox, right-wing Shas party, formed in 1984 to address the grievances of Sephardic and Mizrachi Israelis – both in and out of the ultra-orthodox world – has similarly seen its star fade amid infighting following the death of its founder and spiritual leader, Rabbi Ovadia Yosef, in 2013. The party, whose power peaked in 1999 at 17 seats, is generally polling just above the cutoff line, which is why an electoral alliance, involving a joint candidates list for Shas and the parties that represent the Ashkenazi ultra-orthodox sector, cannot be counted out. Another member of Netanyahu’s coalition seeing its poll numbers dive is Kulanu (“All of Us”), led by Finance Minister Moshe Kahlon, a former Likud member. Kulanu was a brand new party during the last election campaign in 2015 and gained traction based on its attention to cost-of-living concerns and its “lite-right” approach to nationalist issues. It picked up a respectable ten seats. But Kahlon doesn’t sparkle as a politician, and Kulanu appears to be losing support to new relatively centrist parties, such as Gesher and former Chief of Staff Benny Gantz’s new “Israel Resilience” party. February 22 is the last date for candidate lists to be submitted to Israel’s Central Election Committee and until that time we can expect ongoing maneuvering and the formation of brand new electoral combinations, particularly involving parties that are in the danger zone. Indeed, a new public campaign entitled “Without Unity, Your Vote is Lost” (rhymes in Hebrew and involves a homonymic play on words alluding to “All is Lost”) is running billboard ads across Israel. The campaign is encouraging seven centrist political leaders to establish a joint electoral list that could defeat Netanyahu – in part by preventing vote loss caused by the threshold. The result of this effort, the ultimate alignment of Israel’s many political parties, and a few hundred votes cast this way or that could have a sizeable impact on the composition of the next Knesset and the leadership of Israel’s next government. 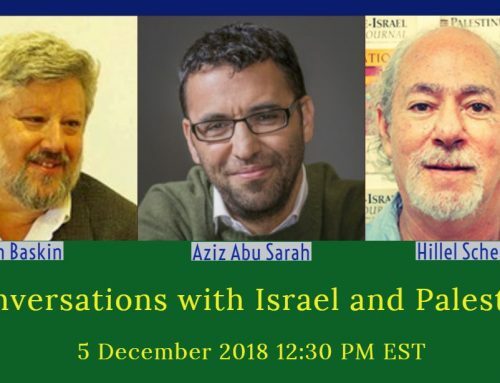 Ron Skolnik is an American-Israeli political columnist and public speaker, whose articles have appeared in a variety of publications, including Haaretz, Al-Monitor, Tikkun, and the Palestine-Israel Journal. 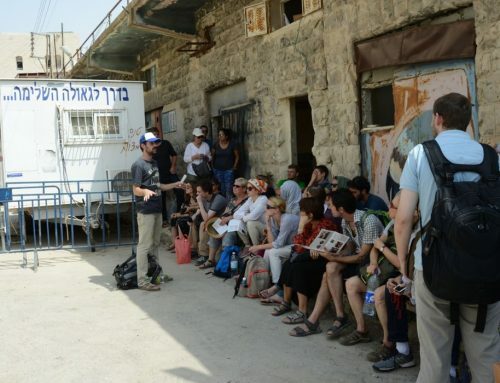 He is a past Executive Director of Partners for Progressive Israel..